On Sunday the 4th February 2018, 4 cadets from 84 Sqn joined cadets from 163, 2286 and 1348 Sqns to take part in Air Experience Flying (AEF) at RAF Cosford, hosted by 8AEF. 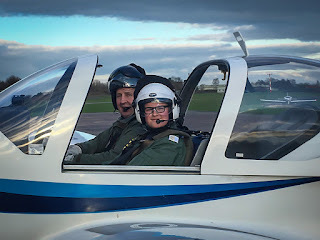 On the whole, it was a beautiful sunny day and all cadets enjoyed the flying experience in the Grob Tutor GR4. 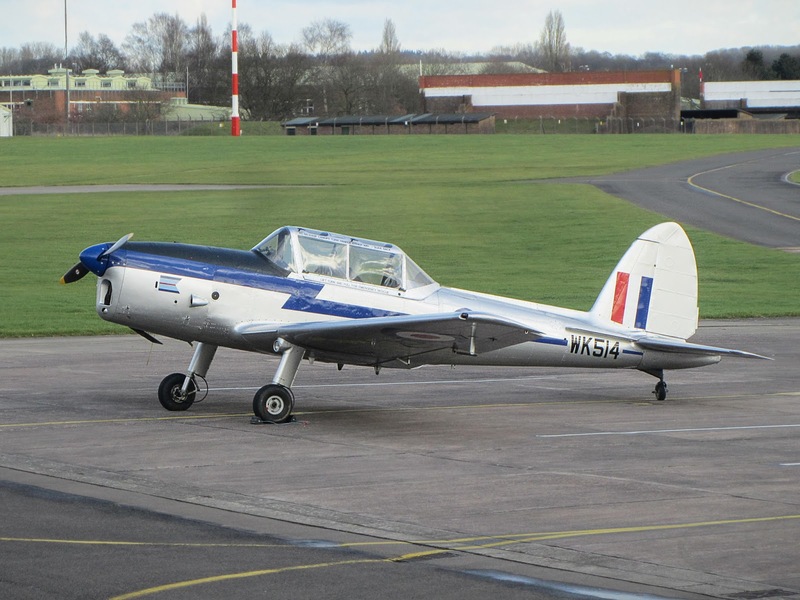 Cadets either experienced aerobatic or advanced aerobatics in the hands of the highly experienced RAF instructors. All 84 Sqn cadets had flown with 8AEF previously, with the exception of Cdt Ahmed who's flight in the RAF Grob Tutor was his first. Cdt Ahmed was presented with his First Flight Certificate by Officer in Charge, WO Raske, during final parade the following week. Cdt Ahmed waiting for to strap in for his first flight. Cdt Rose, Cdt Greenway, Cdt Ahmed and Cdt Mahmood kitted up in their essential safety flying gear, waiting to be called for their flight. A nice surprise came in the form of a visiting aircraft a De Havilland Chipmunk which joined the AEF on the flight line, a reminder of times past when the staff, as young cadets, waited for our air experience flying.